In honor of the Three Kings finding their way to Bethlehem, here are pictures from another week of the Wandering Wise Men in my classroom. You can get ten more ideas (and hear the beginning of the story) in this post and this post. This was the only time during our Wander Wise Men that I was a bit "deceptive" with the kids, and only because they were way more enthusiastic about this days' Wise Men hijinks then the others. I took face shots of the three figurines and created profiles for them on our classroom social media website. We use a site called Edmodo in our school, but you could do this in pretty much any other social media platform or even create fake screen shots to just pull up on the Smartboard using a site like this. I eventually confessed to organizing all of the posts, but it sure was fun while it lasted! The guys hid in an owl basket in our classroom, and Caspar had to stand on the shoulders of Balthasar and Melchior to peek out. They made a sign asking "Whoooooo has seen the Baby King?" They also continued to post on Edmodo, much to the delight of the kids. The Wise Men were found hanging out with our classroom patron Saint St. Maximilian Kolbe. St. Max gave us a little reminder of how loving Mary should be a part of Advent with this quote, "Never be a afraid of loving the Blessed Virgin Mary too much. You can never love her more than Jesus did." Sitting near St. Max was this basket of Christmas pencils with a note that the Wise Men planned to bring the students three gifts, just like they took to Jesus. 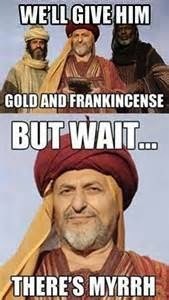 I think the pencils were more practical than gold, frankincense and myrrh, at least in the eyes of a 5th grader! The Wise Men were found hiding in and among our classroom supplies, and had filled one of the empty bins with special owl candy canes. Gift number two! The Wise Men were found just about a foot short of the Nativity (it is sitting on top of this book shelf). When the students come back to school in January, they will be gathered with Mary and Joseph around Jesus. On this day, they brought the kids' third gift, which was actually my real Christmas gift to them. (I'll save that for another post :)). I look forward to trying this tradition out next year with my next group of 5th graders. I'd be excited to hear how you make it work in your classroom or home! 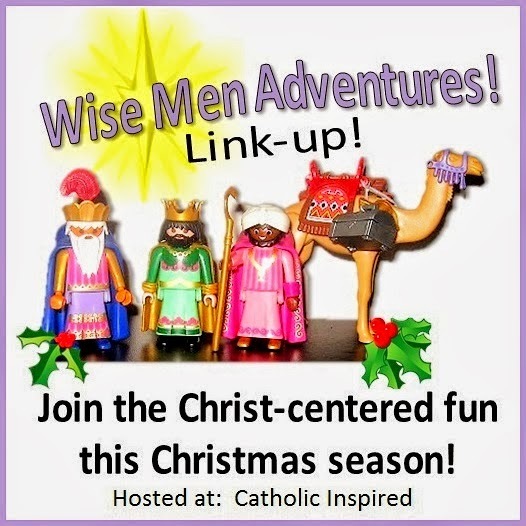 Visit Catholic Inspired's link up for even more ideas!